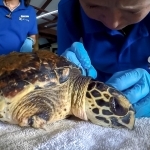 On 16 March, Coral was spotted entangled in a ghost net, snagged on the coral reef right here at Kuda Huraa. 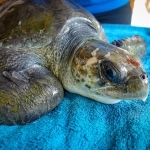 We immediately dispatched a rescue party by kayak, and brought her safely back to our Centre for treatment (see video). 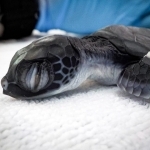 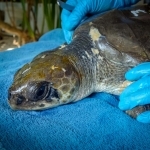 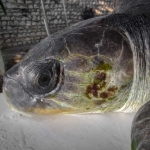 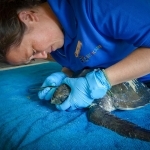 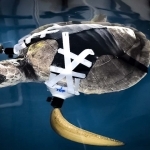 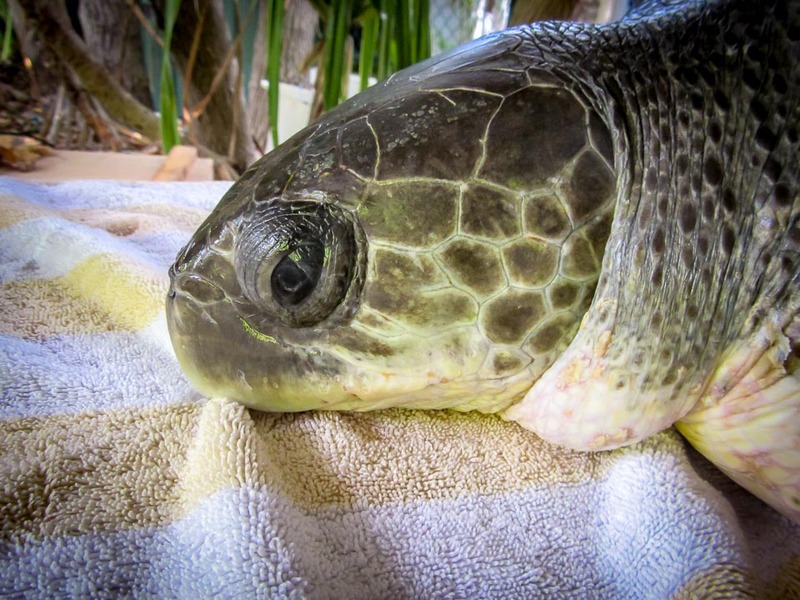 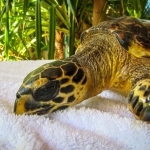 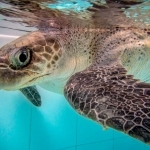 Coral was weak, dehydrated and suffering from damage to both her left-side flippers. 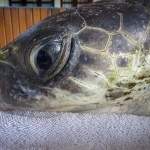 Ghost nets (discarded fishing gear) are carried from overseas into Maldivian waters by the seasonal winds and ocean currents. 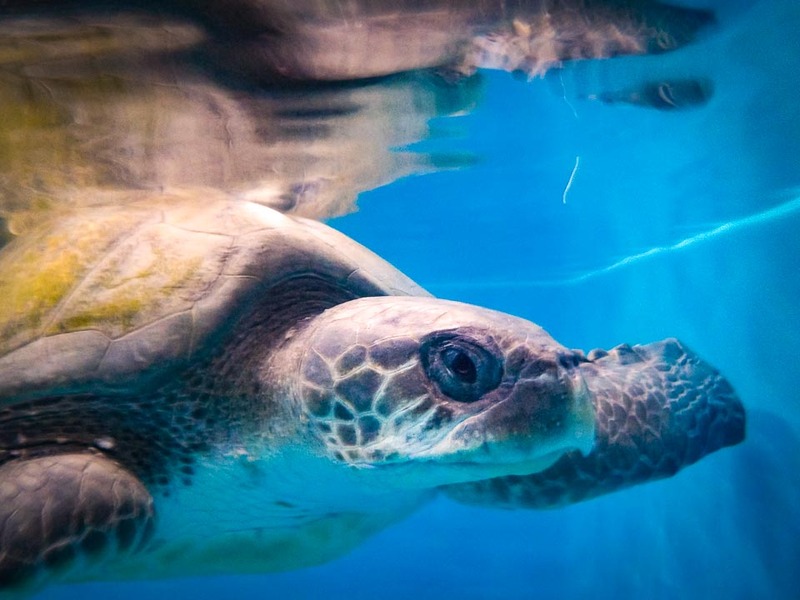 These kinds of nets are not used in the Maldives, and are thought to originate in India (and maybe Sri Lanka and Indonesia too). 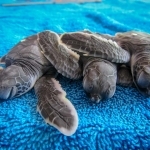 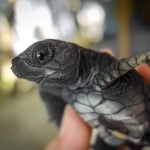 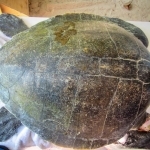 Olive Ridley turtles are only occasionally seen swimming free in Maldivian waters, and most of them arrive entangled in ghost nets. 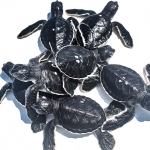 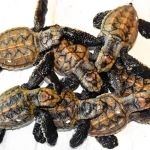 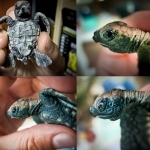 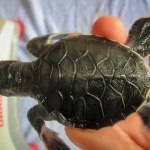 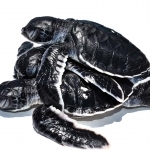 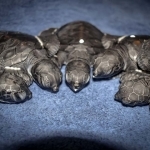 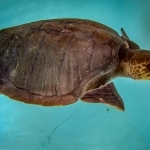 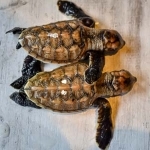 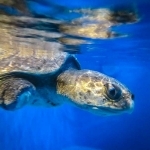 Many turtles have been trapped for weeks or even months before being discovered. 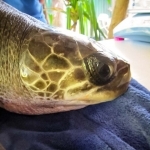 Update: Coral’s injuries proved to be too severe, and she sadly died on 27 March. 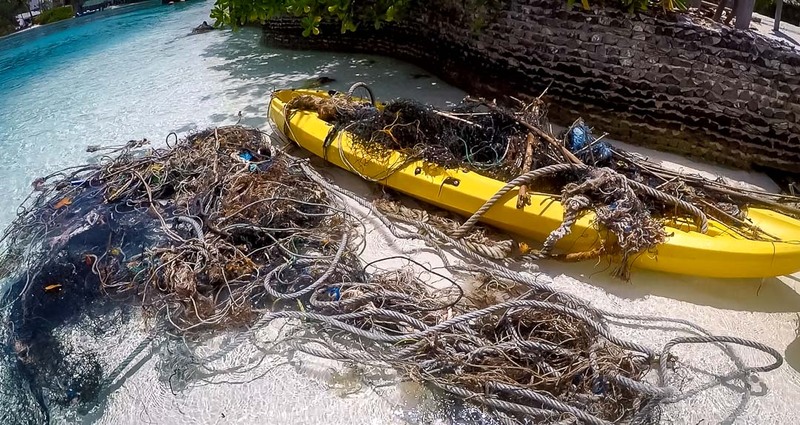 The enormous mass of discarded ghost nets and rope, found snagged on the Kuda Huraa house reef. 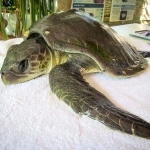 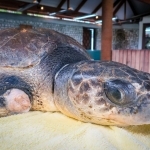 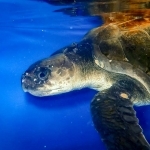 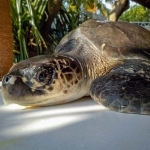 ‘Coral’ the Olive Ridley turtle was successfully rescued from her entanglement.